A video of the photo-resistor working for your viewing pleaure. A photograph of my finished product. 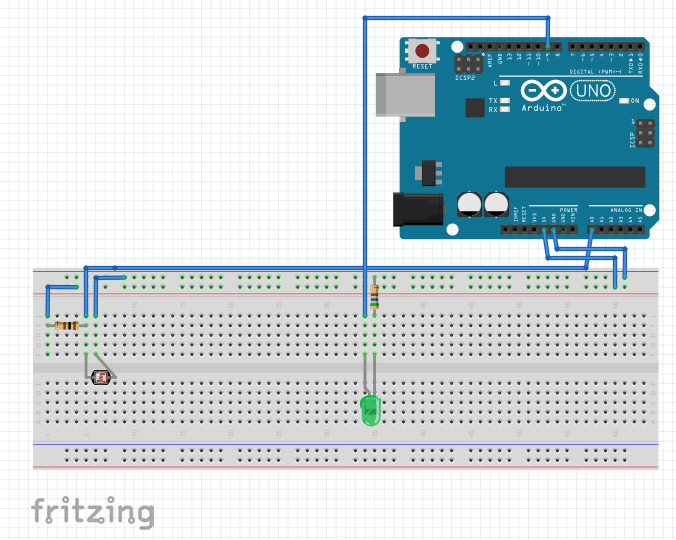 A “Fritzing” Diagram of my circuit. 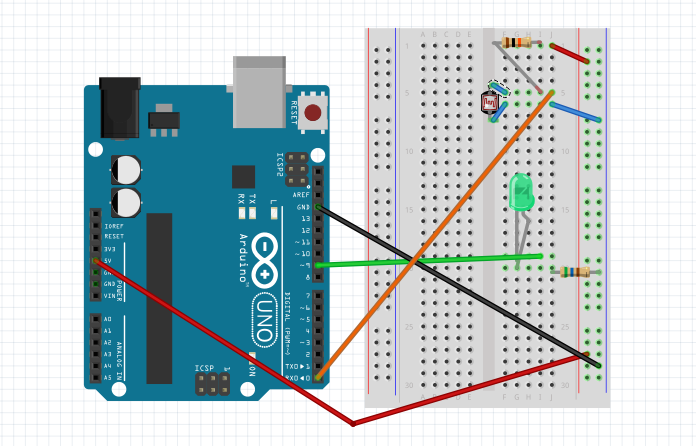 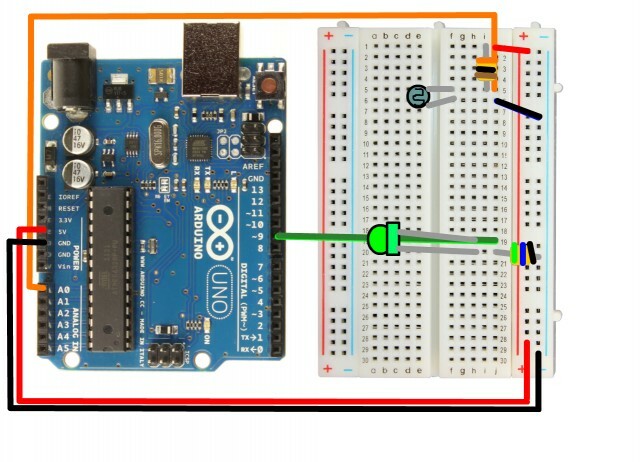 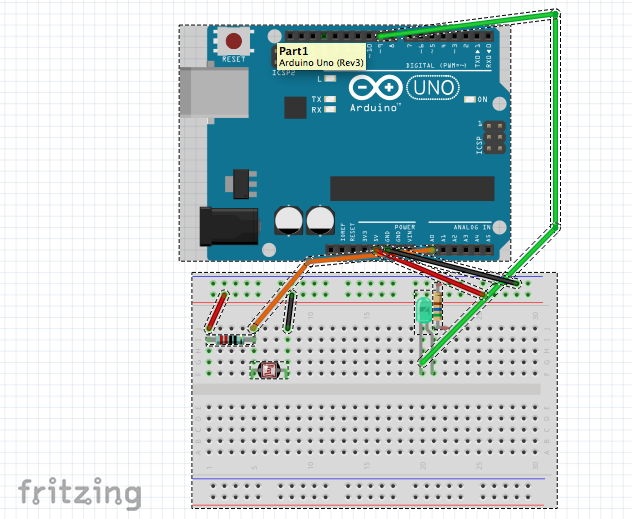 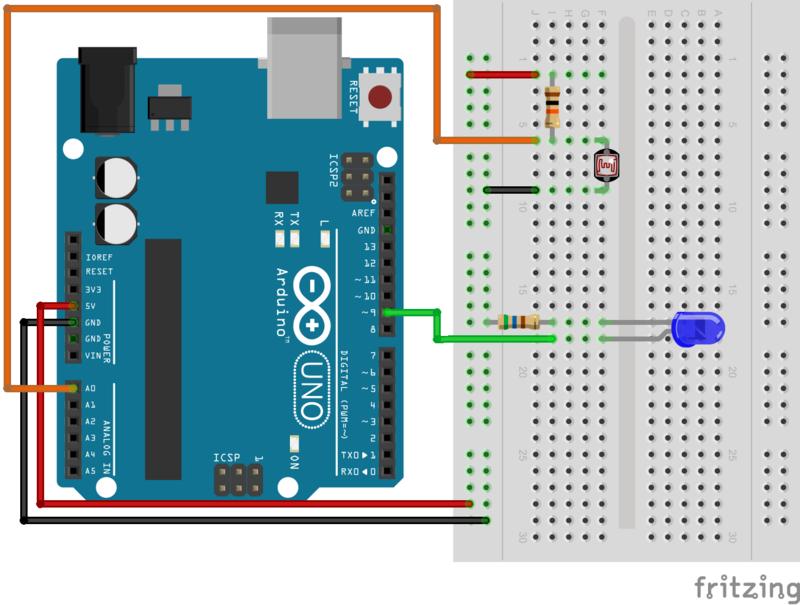 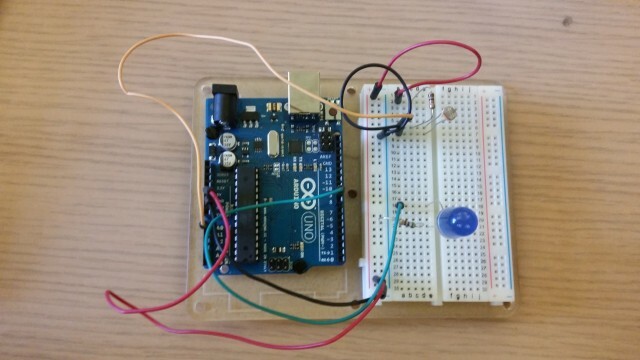 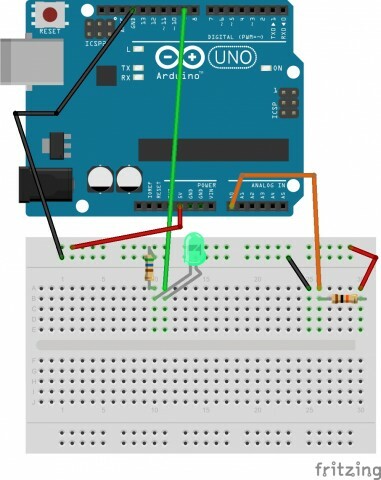 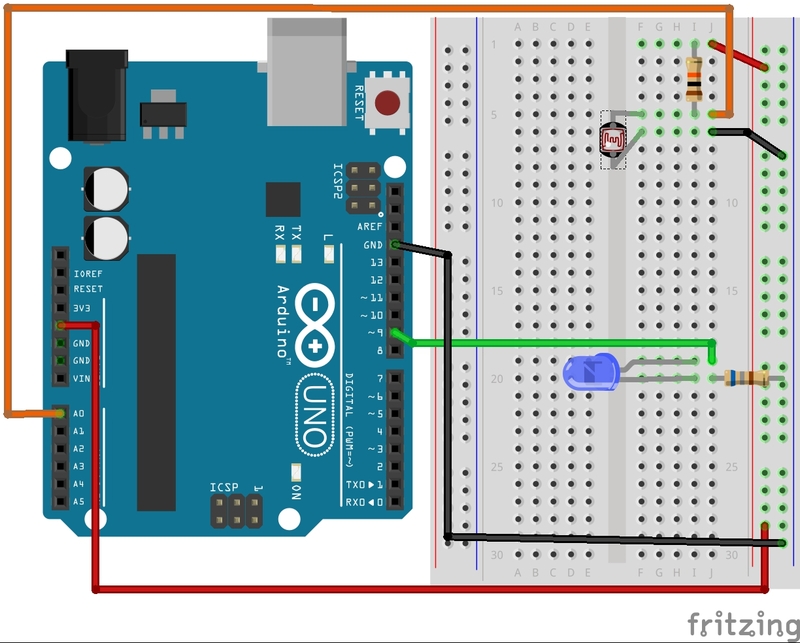 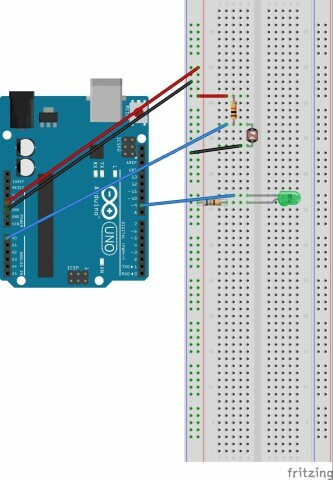 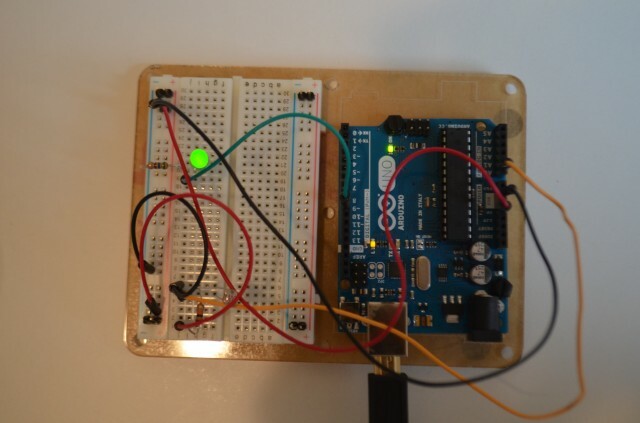 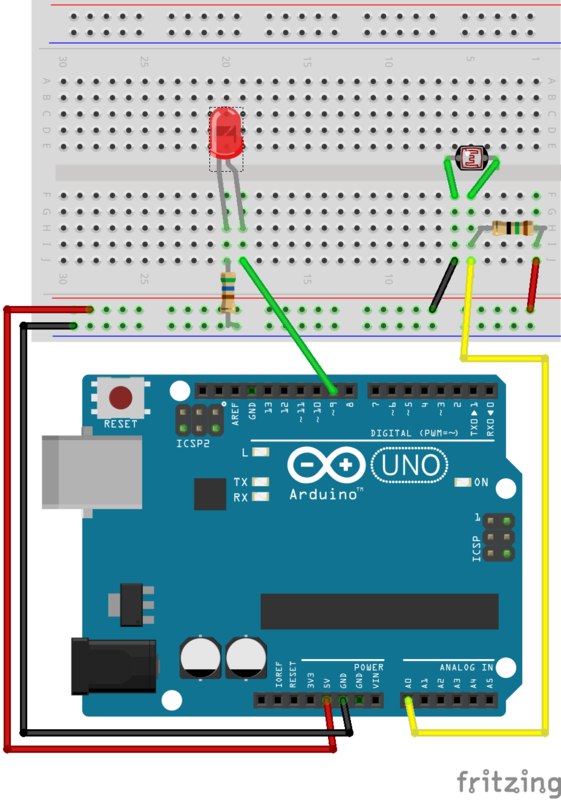 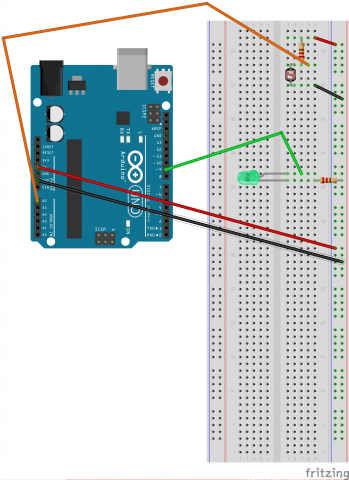 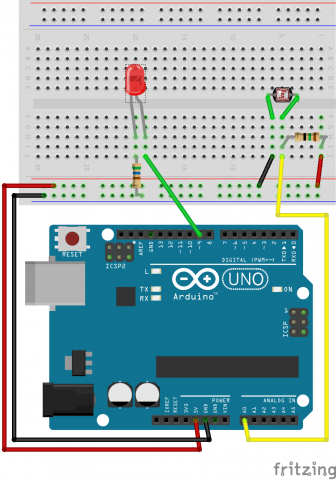 I could not open the Fritzing.org website and now I have to go to the dentist so I made this makeshift diagram that I hope suffices. 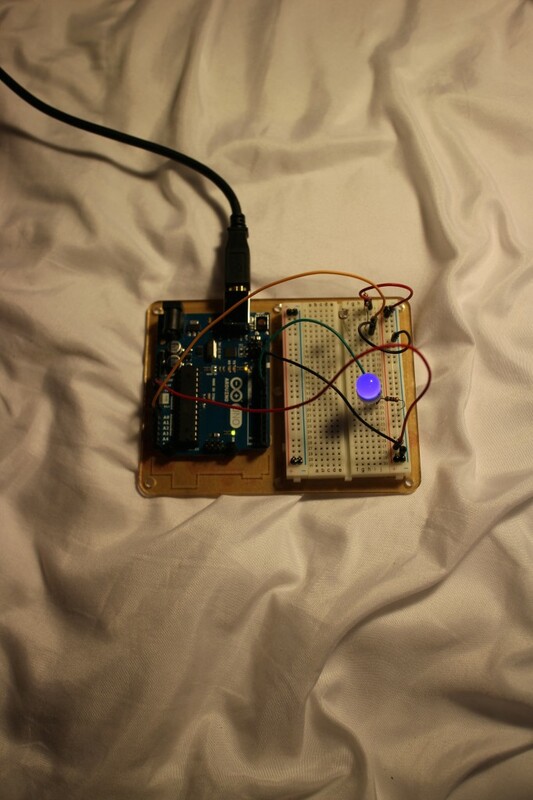 I apologize. 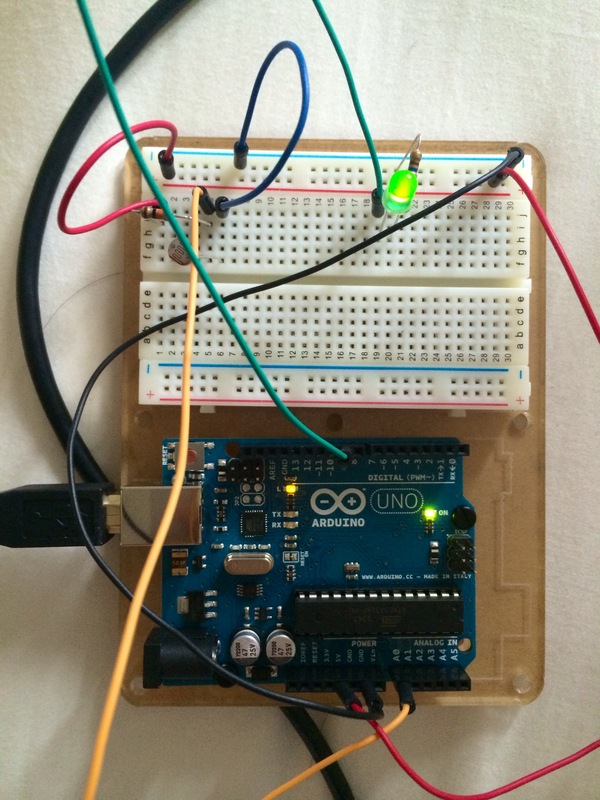 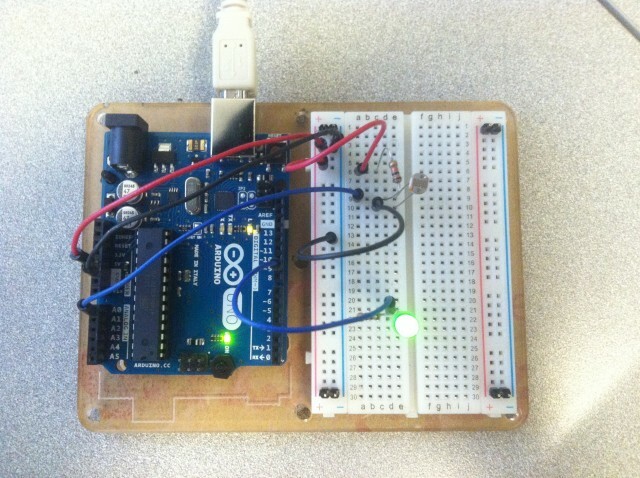 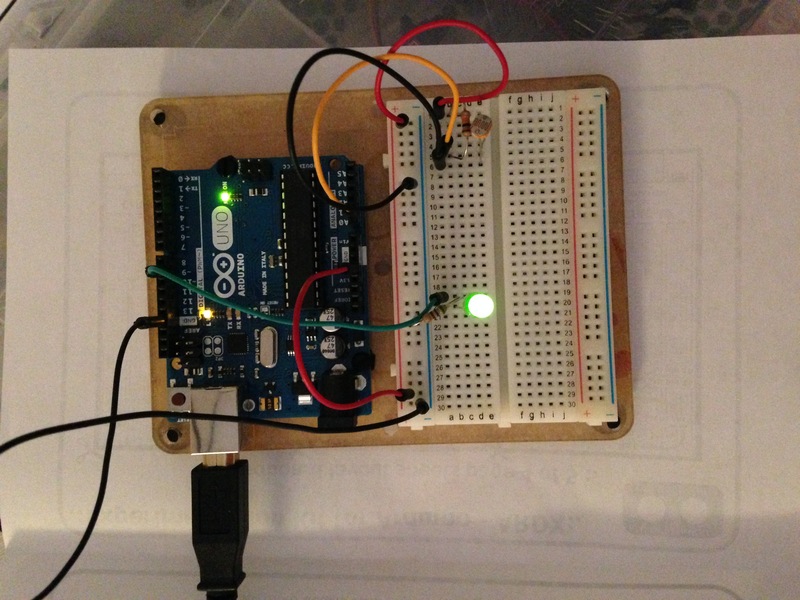 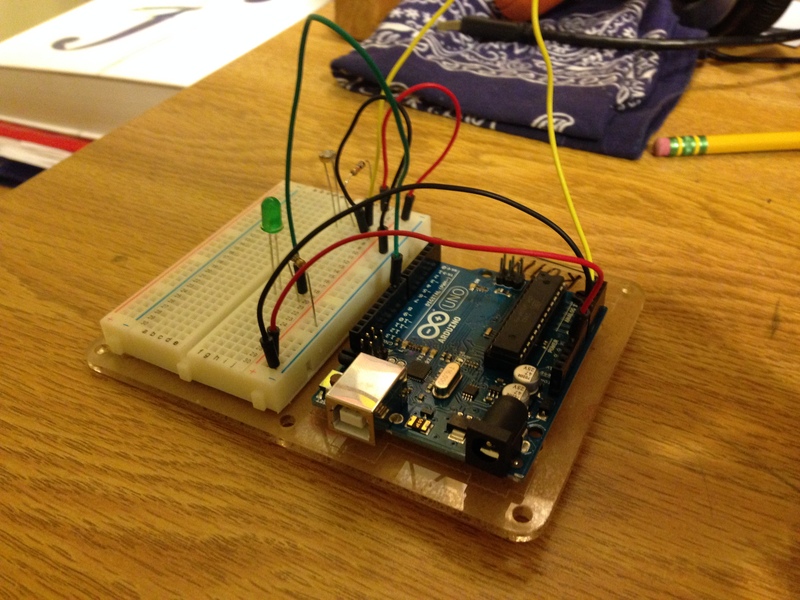 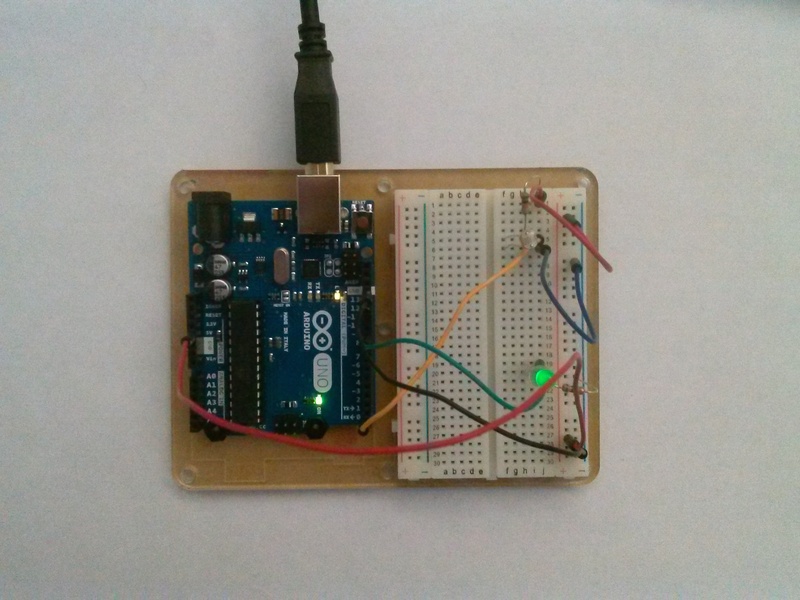 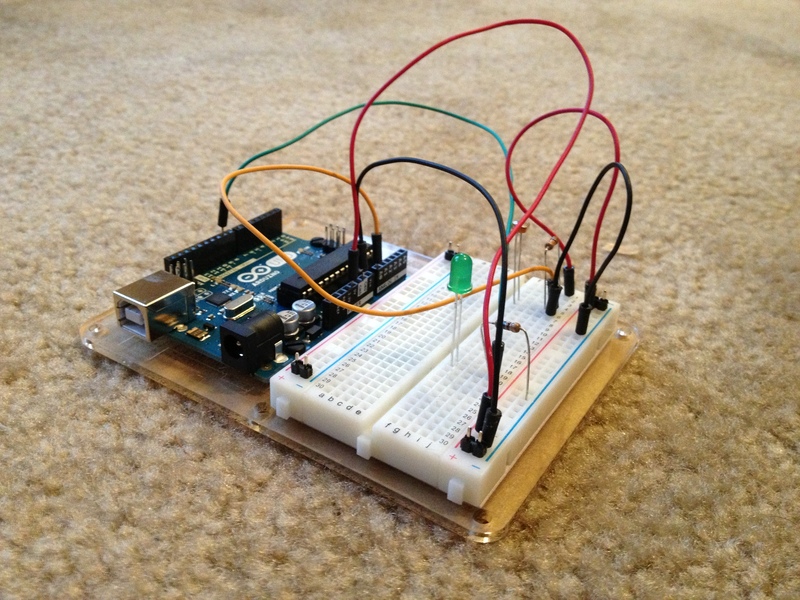 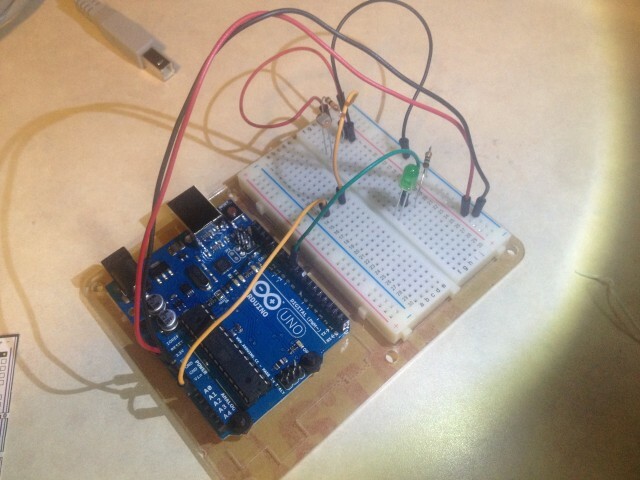 Heres a photo of my arduino all wired up.